Actress, Voice Talent, Director of Marketing/Publicity & Playbill Advertising at Shakespeare & Company, Lenox MA. (Marquise de Merteuil in Les Liaisons Dangereuses; ) Elizabeth recently won an Elliot Norton Award for her performance in Bad Dates at Merrimack Rep and S&Co. S&Co: Bad Dates (Haley Walker), The Ladies Man (Suzanne), Othello (Bianca), Rough Crossing (Natasha), The Merry Wives of Windsor (Mistress Ford); Ice Glen (Dulce); The Comedy of Errors (Adrianna), Much Ado About Nothing (Margaret), King Lear (Regan), Ethan Frome (Mattie), The Valley of Decision (Fulvia), A Midsummer Night’s Dream (Hermia), A Tanglewood Tale (Sophia), Twelfth Night (Antonia), Richard III (Anne), All’s Well That Ends Well (Helena), Wit (Susie), The Winter’s Tale (Perdita), Mercy (Annie), Much Ado About Nothing (Ursula), and Pericles (Thaisa/Diana). Regional: Boston Theatre Works: Angels in America (Angel/Nurse) and Emilia (Othello); Mixed Company: Ten Minutes in the Berkshires Play Festival(s). Canada: Eccentricities of a Nightingale (Alma), Brighton Beach Memoirs (Nora), Fifth of July (Shirley), Ludlow Fair (Rachel). Independent Films: Trigger Finger; Seriously Twisted. 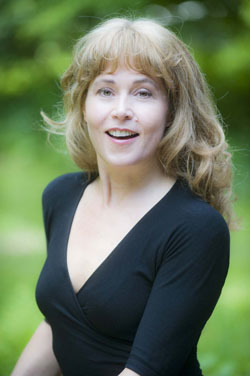 Elizabeth also provides the voices for commercials and animated features.